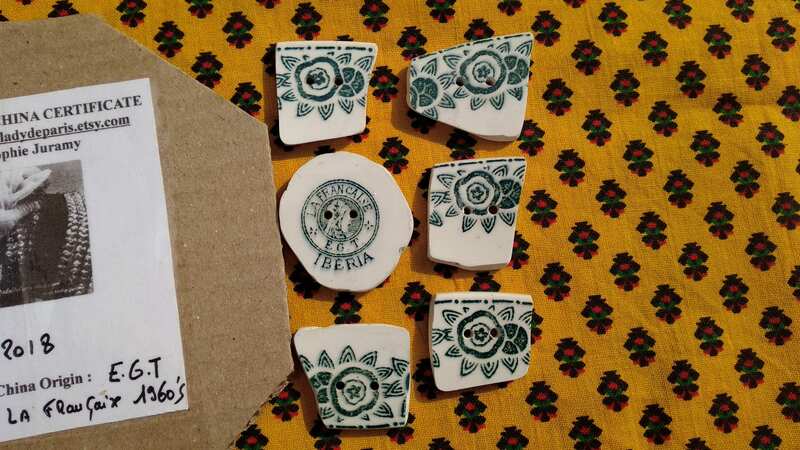 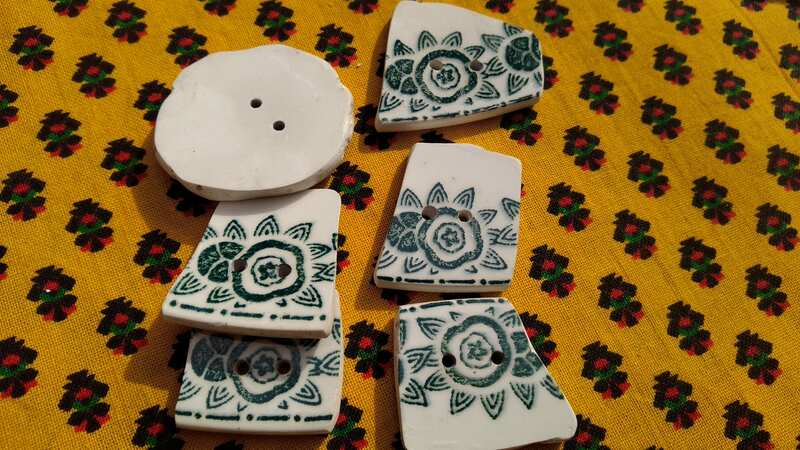 Very Unique Porcelain buttons. 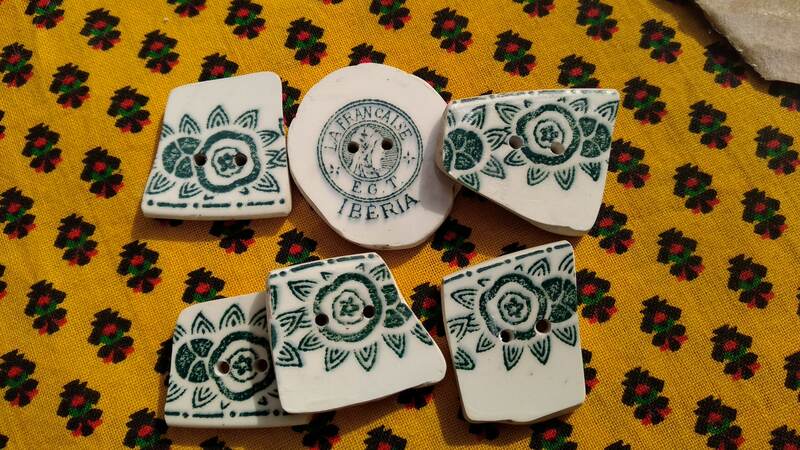 Set of 6 Antique Ceramic Buttons. 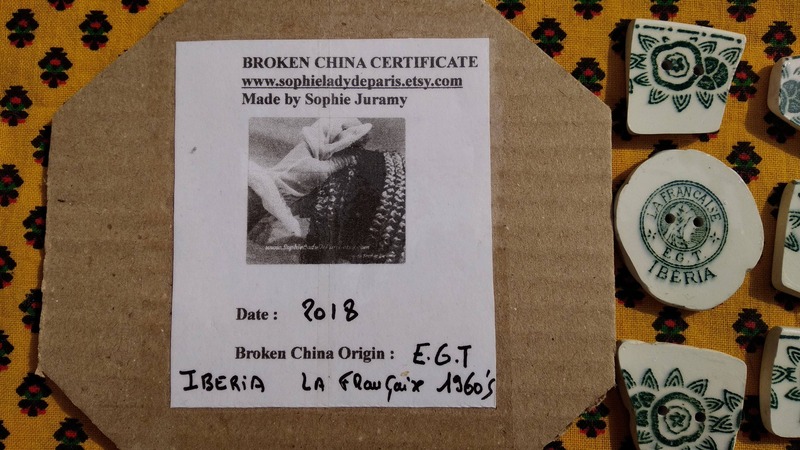 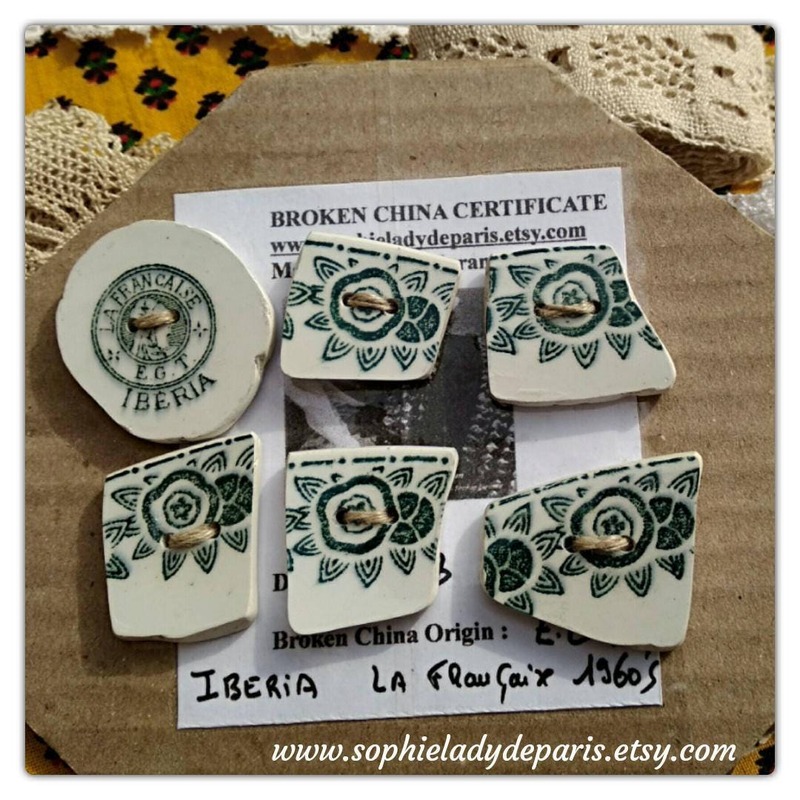 French handmade broken China buttons. 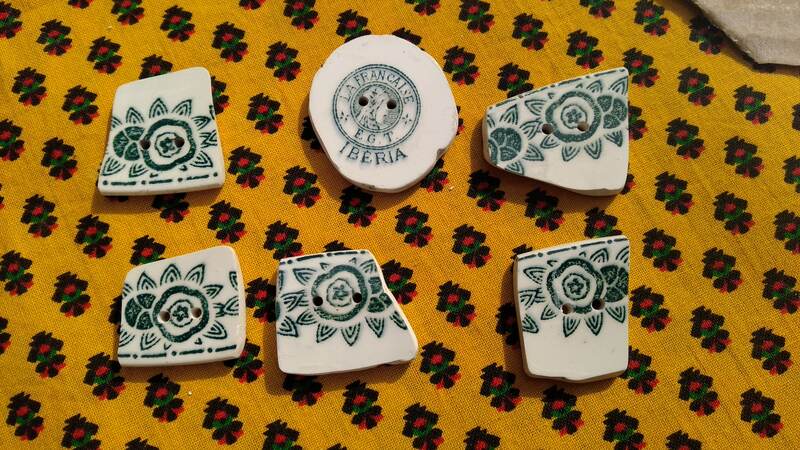 I've made them with La Française EGT Iberia Porcelain plate from 1960's. 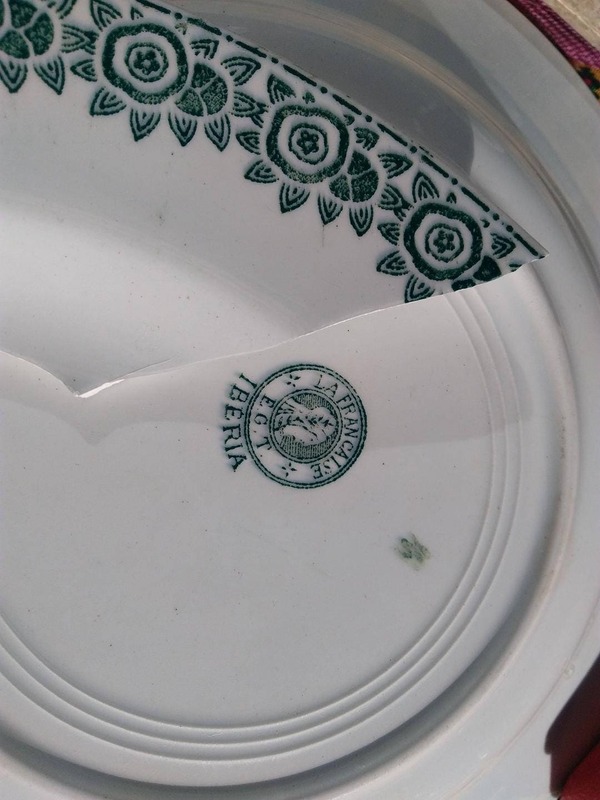 White ceramic with green flowers and leaves. 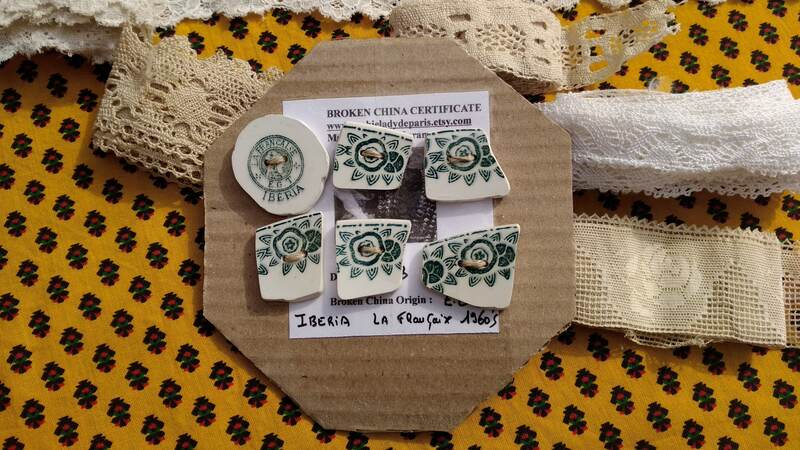 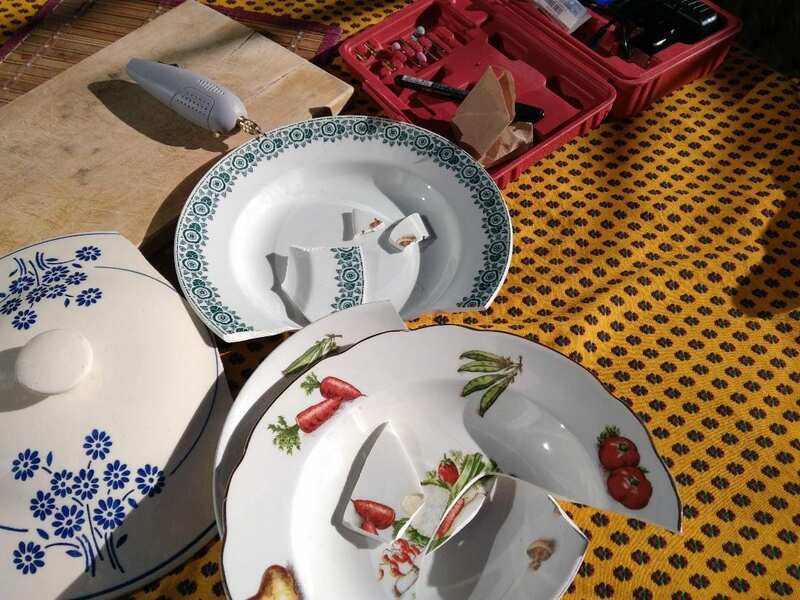 Set of six broken China buttons. 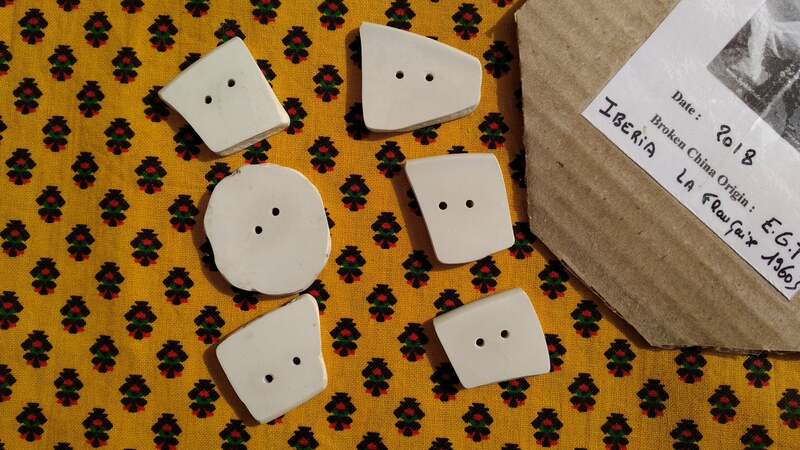 5 x Square / Rectangle 4 Square Buttons 1 in., One is 1 x 1.2 in.